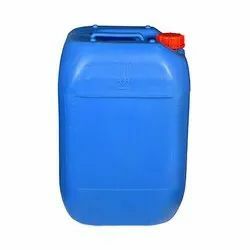 Leading Manufacturer of rose syrup - 700 ml, rose syrup - 5 ltr, rose syrup - 20 kg and rose syrup - 40 kg from Mumbai. 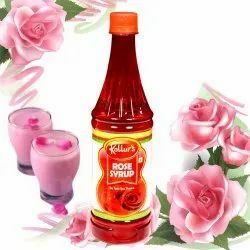 Rose Syrup can be refreshing for any season. 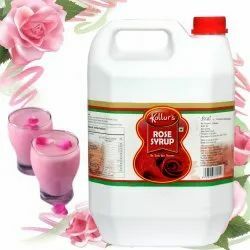 It can taste incredibly with fresh chilled milk/water when 1 part of Kollurs Rose Syrup is added to 6 part of milk/water for enjoying your own tasty rose syrup at home. 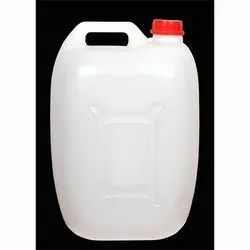 It can also be used as topping for ice creams, deserts, fruit salads, falooda, kulfi, pancakes and also ideal for making mocktails.